The Little Ice Cream Truck is loaded up with tasty treats in this new addition to ever-popular The Little Dump Truck, The Little School Bus and The Little Fire Truck series. 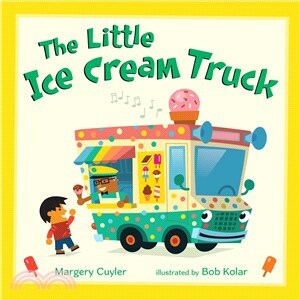 Join the little ice cream truck and its cheerful driver, Sue, as they trot all over their diverse town to deliver everyone’s favorite flavor of ice cream on a hot sunny day. With little ice cream truck’s jingly tune and pitstops at a birthday party, a park, and the zoo, this is a joyful new installment in the Little Vehicle series, which focuses on the many daily tasks of working trucks.